There’s something sinister with the new Librarian. Maybe it’s the horns that stick out of his head, to the leathery wings. But it’s probably the fact that he’s a demon who has Cynthia’s best friend under his spell. Now between working on the set of the schools’ production of Sweeny Todd and trying to maintain her composure around her crush and only ally, Cynthia must save her friend and her high school from the clutches of the dashing, yet evil, Mr. Gabriel. 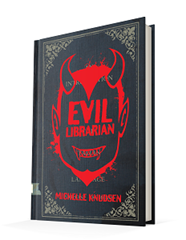 Published September 9, 2014 by Candlewick Press Evil Librarian by Michelle Knudsen is the first in her humorous young adult paranormal series. This was just perfect. 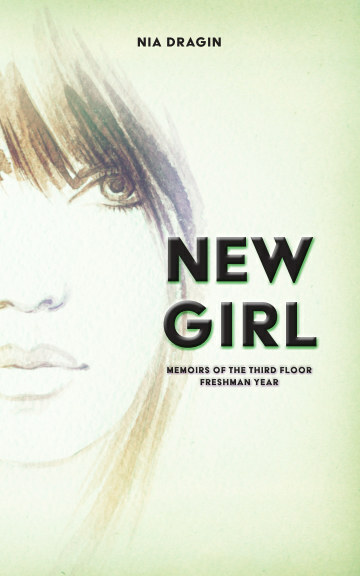 This is a novel perfect for any age because the characters in the novel are so relatable. Cynthia’s just a regular high school kid with a huge crush on one of the popular kids in school and the tech director for the school musical. She’s a driven character with such a fun narrative and a loyalty to her friends. Everything about her is likable to the fact that she’s an enormous klutz. Again, she’s a relatable character with such a vibrant voice and Knudsen must be applauded for her talent here. The way the novel is structured captures the voice and the character expertly. She’s has made Cynthia more than just a name on a page or a character in a book, she has given her life, a personality that resonates off the pages. All in all, she’s just a remarkable character. As for the story itself, it’s so fun to read. Cynthia has discovered that her Librarian is a demon who has her best friend under a spell of sorts, using her to do some of his dirty work. Talk about drama, and not the kind Cynthia likes. This leads to so much tension between the two friends and revelations about the characters and their dynamics with one another. This also leads to depth for the characters and it influences the plot so well. There’s a sense of darkness within the characters, a sense of loneliness that Knudsen explores to keep the realism alive in the story. The feelings between the characters are, again, aspects of the novel that any reader, no matter their age, can relate to. Moreover, not also does this all allow tension to drive the novel it also allows for hilarious antics between the characters. There’s comedy and romance in the novel, but also the right touch of horror and sadness in the novel to keep the story grounded and impactful.